at the Gompertz Theatre. On the corner of North Palm Avenue and Coconut in downtown Sarasota, Florida. This was one or our most successful Meet and Greets. Over 70 people attended. 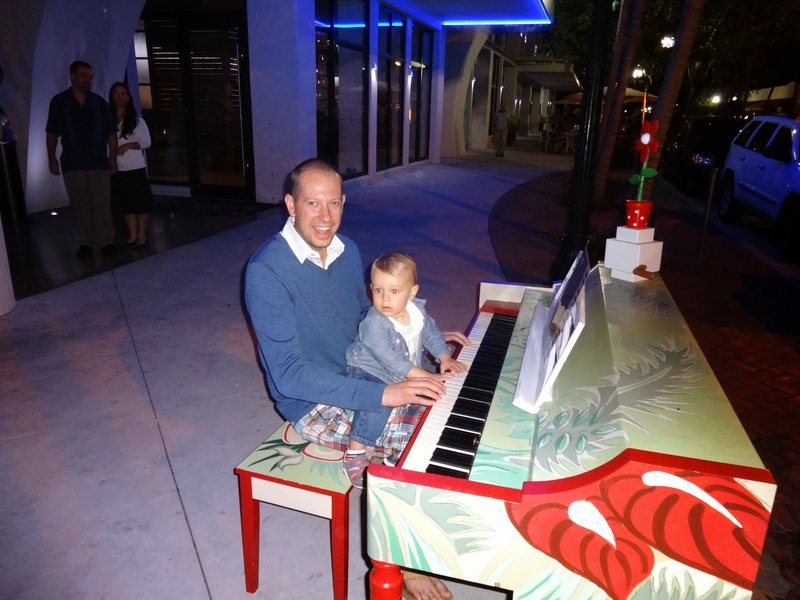 A father son team entertaining us as we left the Meet and Greet. 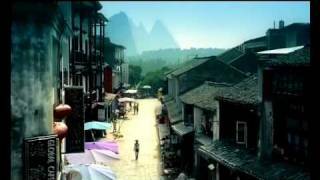 Shanghai Expo has encompassed lots of China's Magnificent and Diverse Scenery. Jackie Chan's Hong Kong This is rather long so I will play only sliver of it. Our social networking school went well. There was lots of interest and questions. And thanks to Natasha Leung for setting up a Instagram page for us. Instagram is the new program that young people are turning to - so they don't have to have their parents and grandparents sharing their Facebook page. February 13, Thursday 2:00 to 4:00 pm - Class on Sarasota Social Networking. City Hall 1565 1st St, Sarasota. All members are welcome to attend. We will cover our Blog, Facebook, LinkedIn, Twitter, Google+, and Pinterest sites - how to use them. And we will discuss how you can use these tools to network with your family, publish your family stories, photos, etc. Your homework before class is to look at our sites below. You may bring your laptop. Every other year Bob Antrim, longtime Sister Cities member and our Golf Chair par excellence, organizes the Sister Cities Golf tournament. 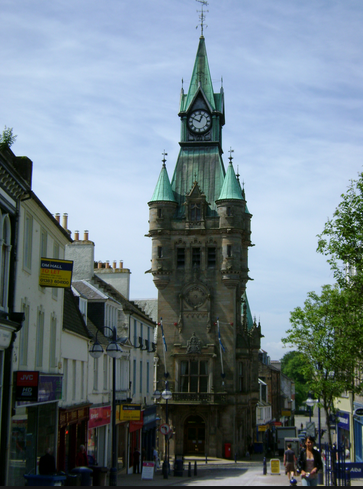 It is alternately held here in Sarasota and in Dunfermline (Scotland). This year it will be held in Dunfermline, County Fife. The trip is usually for a week, the last week in July, but it really is determined by when Gerry McMullen, the Golf chair in DF, can get the courses. 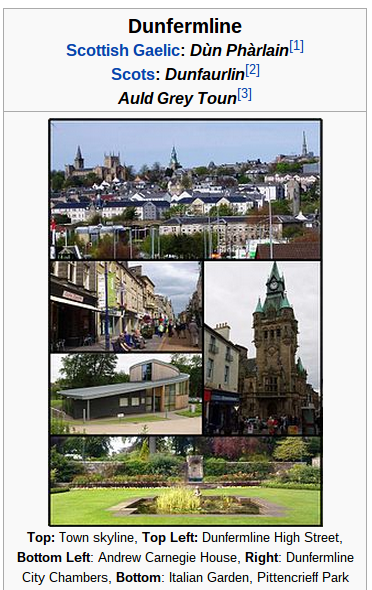 FYI, the Chairman of the Board of Sister Cities in Dunfermline is Ben Conway. I am copying him on this email to keep him informed of the plans as they unfold. For any future correspondence on this subject I suggest you also copy him. The intended date of departure is July 27th and return August 2nd or anytime after that if they want to extend the trip to go someplace else. We won't know courses until Gerry gets them lined up, but will be pretty typical of Scottish Courses. The hotel where the visiting team & companions are staying is the Keavil House Hotel, it's very nice and located just outside of Dunfermline. 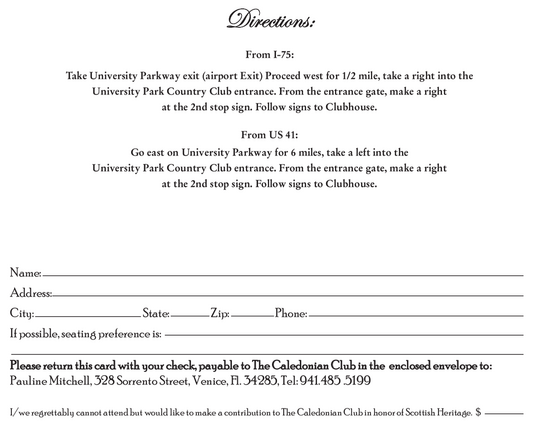 The trip has to be paid by the participants, but all GOLF IS FREE. Bob will check into pricing of Air and Hotel. The main thing is we would like to see if there is any interest from members of Sister Cities in making the trip subject to us getting them the information as to cost. To expedite matters I suggest you email Bob Antrim direct, his email: rwa7622@aol.com. Please copy me on correspondence and don't hesitate to contact me if I can help. 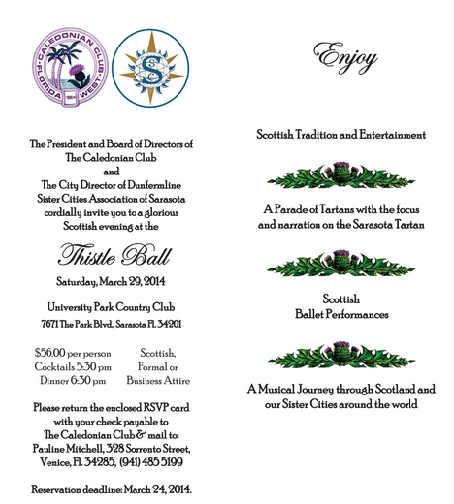 Dear Sister Cities of Florida! 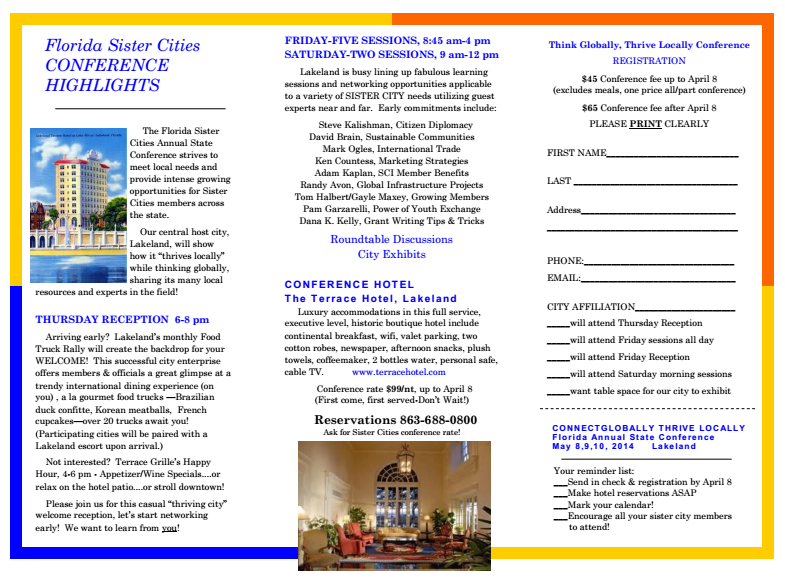 May 9 - 10, 2014 While the weekend does compete with Mother’s Day, we propose to get you out by noon Saturday or allow you to bring Mom/spouse/friend and pamper them with a great hotel and some special Mom’s Day Lakeland events! We are as excited with your time outside of the conference as we are about building intense, productive sessions. We’ve reserved a room block in the 1924 historic luxurious Terrace Hotel, matching last year’s rate of $99/nt as long as you book between now and April 6! A continental breakfast, nice robes, plush towels, a 5-star restaurant and walking access in a quaint downtown await you. We have a fun welcome reception brewing for Thursday night, May 8! 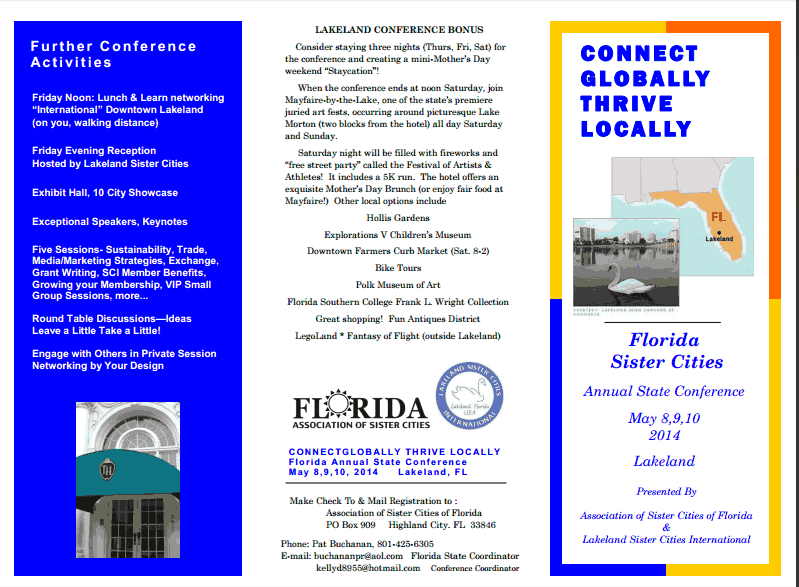 Lakeland Sister Cities will host a reception Friday night, May 9. If your obligations are tight, the sessions will tentatively begin at 8:30 Friday morning and last until 4:30, then continue Saturday, 8:30 until noon. We are planning dynamic sessions with energetic speakers so that you leave with renewed enthusiasm, fresh ideas, new contacts and potential opportunities. Thank you for being such great volunteers and global envoys for your Florida cities and their sisters! Hope to see you in May and share your expertise! Need extra printed copies for members, contact me.